S.K.DUBEY, 25 Aug 2013i have used it since last 6month.it s touch is wonderfull . it is nice device in this budget..... morehow about the battery life. can you please say how many days the phone lasts in normal use. S.K.DUBEY, 25 Aug 2013i have used it since last 6month.it s touch is wonderfull . it is nice device in this budget..... moreIn The Mobile May I Can Use Two Sims? nxg tv is working.when i try to connect than all process is being ok but at last fail to connect find on screen. hay,its touch screen is imagine,its work very fast. but its tv and kim is not work well.its setting is so difficult. 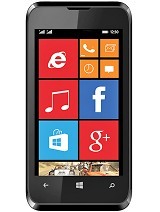 "This is not a GSM device, it will not work on any GSM network worldwide. General 2G Network GSM - SIM 1 & SIM 2"
what is it really? it says not a gsm but in the specs, it says gsm sim 1 and sim 2. 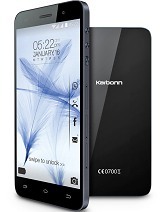 Total of 10 user reviews and opinions for Karbonn KT21 Express.